And finally is the full diet break, a period of 1-2 weeks where the dieter goes back to eating at maintenance. With the exception of Dan Duchaine (who recommended that a 10 week contest diet cycle be broken up into 4 weeks of dieting, 2 weeks off, and 4 weeks of dieting) and myself, I don't recall this suggestion ever being made in popular dieting literature. But, for a variety of reasons (the study mentioned above included), it makes a tremendous amount of sense to include a full break within the context of longer dieting periods. Let's face it, dieting for long periods at a stretch becomes a real psychological drag. Admittedly the crash diet avoids some of this by being more extreme for a shorter period of time. Even then, for someone who is extremely overweight/overfat, it may take a year or more before all of the weight desired is lost. Expecting someone to diet strictly for that time period is simply unrealistic. Breaking the diet up into more manageable stretches, 8-12 weeks at a time with a 2 week break makes the whole process much easier psychologically, as no individual dieting time lasts all that long without a break. Full diet breaks can also be scheduled to coincide with vacations or special events, giving them that much more utility. Since the break is now part of the diet structure, rather than an occurrence that is out of the dieter's control, the psychological effect is different. As I described above: what was a negative, a failure of willpower, becomes a positive, a structured part of the diet that makes it work better in the long-term. Experience, and the study above, shows that folks who go into diet breaks planning to make them a break (i.e. 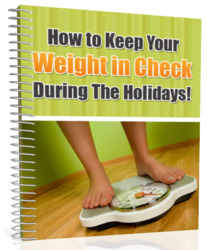 vacation) have an easier time getting back on the diet bandwagon when the break is over. An additional issue is the metabolic slowdown that I described in the last chapter. Although structured refeeds help out somewhat, metabolism eventually slows and progress on the diet slows as well. 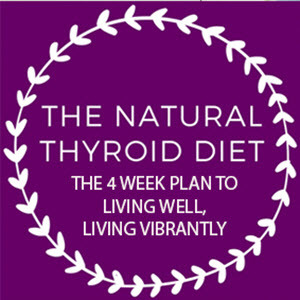 Taking two weeks off of the diet to eat 'normally' helps to upregulate metabolic rate (including nervous system output and thyroid hormones), making fat loss occur more efficiently when you go back to dieting. 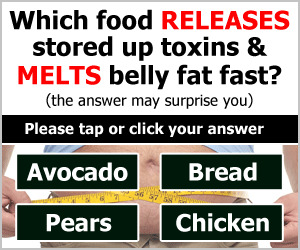 Of course, this is predicated on the fact that you don't regain a tremendous amount of fat back during this period, and that's predicated on the fact that your caloric intake still needs to be kept under control. So what does it mean to do a full diet break? First let's talk about what not to do. As with the free meals and structured refeeds, the goal of the diet break should not be to see how badly you can eat for 2 weeks, how much junk food and crap you can put into your mouth. Obviously, returning to the eating habits that made you fat in the first place is a mistake as well (see the next chapter). So how does one properly do a full diet break? The first step is that calories should be adjusted to the maintenance level, that is the caloric intake that will maintain your current weight. I'll tell you how to do this in the next chapter which is all about maintaining your weight loss. Protein intake should be kept at the same levels (maybe even increased slightly as recent research has shown that high protein intakes after a diet help to limit fat regain) as on the crash diet and vegetable and essential fatty acid intake should remain the same as well. The main change is the addition of more carbohydrates and fats (to raise calories to current maintenance). Carbohydrates need to be raised to at least 100 grams per day (more if you're exercising) as this is necessary to upregulate thyroid hormone levels. Dietary fat intake should come up as well, to moderate levels (20-25% of your total calories). Again, I'll give more details on this in the next chapters. If you're involved in an exercise program while dieting, you should maintain it at some level during the break; if you're not exercising, the break is a good time to start. About the only group that usually can't even consider taking a full diet break are athletes and contest bodybuilders (maybe models) who are under a very specific time frame to reach their goals: the two weeks of dieting time that they lose may not be justified if they don't get into shape in time for the contest, competition or photo shoot. Of course, I'd mainly argue that they should have started dieting earlier so that they could include a two week diet break but this doesn't really help folks now. So with the exception of those category 1 dieters who are under a strict time frame, a full diet break will be applicable for all categories of dieters; all that will change is how often they take a break. As with structured refeeds and the comments I made above: the fatter you are to start with, the longer you can diet without a break. Obviously, if you're only using the crash diet for purely short-term results, to lose weight for a special event, and don't care if you regain all of the weight, then just go back to your old bad eating habits when you're done. Once again, while I don't advocate this, I accept that that is what people will do. I'll discuss this more next chapter.